Progressive Policy Institute, Washington, DC, 2005, 146 pp., $14.95, fully available online. The AmeriCorps Experiment and the Future of National Service provides an appraisal of AmeriCorps as it passes the ten-year mark, and includes the diverse viewpoints of leaders across the political spectrum about the potential future of the program, though it's principally informed by the co-editors and their institutional bonds. 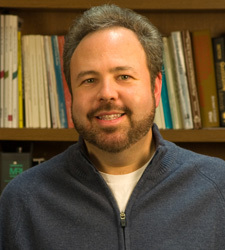 Will Marshall is president and founder of the Progressive Policy Institute (PPI), the think tank associated with the Democratic Leadership Council, supported by its “Third Way” political philosophy (that, among other things, "seeks to adapt enduring progressive values to the new challenges of [t]he information age.") Marshall is theauthor of the 1988 DLC book Citizenship and National Service that developed many of the ideas for AmeriCorps. Marc Porter Magee is Research Director of the Partnership for Public Service, and was previously director of PPI’s Center for Civic Enterprise and a contributing editor of the DLC journal,Blueprint. Innovations in Civic Participation, along with America’s Service Commissions, has released “Transforming Communities through Service,” a success stories collection of “51 of the most innovative AmeriCorps programs from around the country” as selected by state National Service commissions, another publication freely available in its entirety online. While there are no technology programs included, the community-building programs described might stimulate ideas of partnerships with community networks and technology centers and related organizations. The first section, "Assessment," features only one chapter, “Has AmeriCorps Lived Up to Its Promise?” by Magee and Marshall. The chapter presents AmeriCorps' success in its primary purpose of “tackling unmet needs, expanding opportunity, bringing Americans together through service, and strengthening citizenship and civic enterprise.” Still needing more attention are encouraging more members to pursue higher education with their Education Awards, and increasing interaction between diverse members. “Part Three: Possible Futures for National Service” includes essays by contributors from both sides of the political spectrum. In “Putting Faith in Service,” Beliefnet’s Steven Waldman recommends that 100,000 religious congregations each host a national service member who would stay with a parishoner’s family while working with the congregation to coordinate volunteers for their community service work. In “National Service on a Community Scale,” Bush Administration CNS Chair Stephen Goldsmith represents those concerned about too much Federal government intervention in communities as well as a move toward some form of conscripted service, not to mention a critical eye towards too large a percentage of funds going to big national organizations such as City Year and the Red Cross. He recommends that AmeriCorps focus more on supporting grass-roots community-based efforts. A very different viewpoint is represented in “The Case for Universal Service” by William A. Galston, Director of the Institute for Philosophy and Public Policy at the University of Maryland (the Institute's scholars constitute the Philosophy & PublicPolicy Quarterly Editorial Board). Galston makes a passionate call for moving to a universal conscription system, allowing for military or civic service, as a way to instill in American youth a deeper sense of citizenship. Read more about The Resource Center here. It seems unfortunate that the editors, especially in writing this concluding article, did not more fully integrate some of the ideas presented in previous chapters. This gives the impression that the other essays provide more of a perfunctory nod toward presenting political balance. Whether this can become a forceful bi-partisan or multi-partisan opportunity for collaborating on a workable proposal that can be supported by a spectrum of policy makers (like the McCain-Bayh proposal for Universal Service that Marshall and Magee discuss) remains to be seen.